Everyone loves the opportunity to catch up, reminisce and indulge. So why not pop the kettle on and share your favourite bakes with family, friends and colleagues, while helping our specialist dementia nurses support more families facing dementia. With this in mind, at Parklands we organise a fundraising afternoon for this noble cause. We sent an invitation to our families and neighbours to come and join us for a nice Cuppa and some entertainment in the capable hands, or should I say voice, of Jane Cuva. 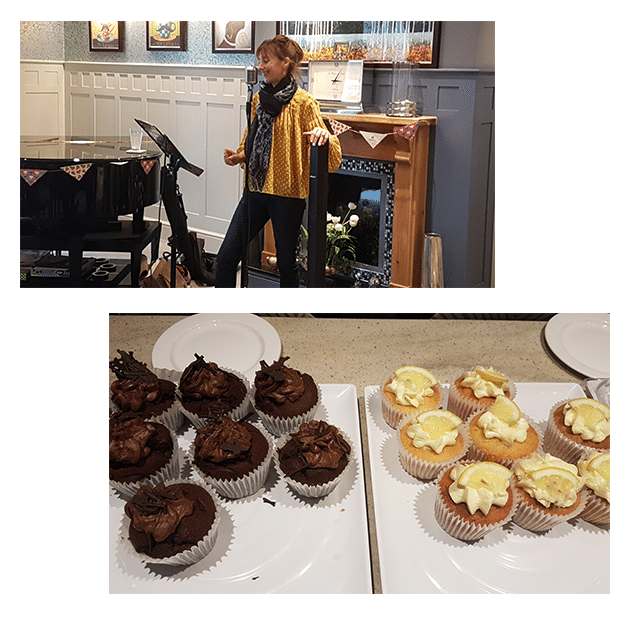 The stage was set, teas and cakes ready, public waiting and we began singing along to our favourite tunes. It was a very successful afternoon as we raised over £150.